Gerard Boyle has been working in the financial services industry since 1991. He specializes in insurance planning for individuals and small businesses. He is also certified in long-term care planning. Gerard is a life-long resident of Union County, NJ and has been very active in the community for many years. 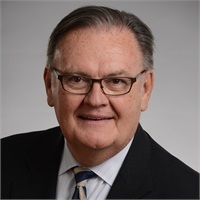 He is currently on the board of the Westfield Foundation and a former member of the Optimist Club, Gateway Regional Chamber of Commerce and Holy Trinity School Advisory Board. He is also the former Chairman of the Westfield Planning Board. Gerard is a graduate of Assumption College in Worcester, Massachusetts and is also certified in special education at Kean University. Prior to his work in financial services, Gerard was the Administrator of the New Jersey Commission for the Blind and Visually Impaired.